Tire cavity noise is a noise which produces reverberations. Given the ringing in the ears that it causes vehicle occupants, it has long been one of the main road noise issues. For the countermeasure against tire cavity noise, since drastic solution is still more difficult for the downstream measure against a body system with the increase of big weight, its device in the tire cavity of the countermeasure against the origin is the most effective for a light weight and drastic solution. Some reduction devices of tire cavity noise have come to be commercialized in recent years. As a commercialization example, what equipped the tire inside surface with the noise absorbing material, and the thing which equipped roadwheel with the resonator are developed. However, application of these devices is limited to some of tires and high-class vehicle types from cost restrictions, and at present, it does not result in technical generalization and has not diffused through it so much. Since the new structure which reduces weight and cost by 50 % or more was suggested towards generalization of the Helmholtz resonator technology which is a flexible device which can equip roadwheel and does not limit a tire brand and commercial production was realized, this paper introduces that theoretical background and realization structure. And this device has been successfully applied to mass-production models on the market. 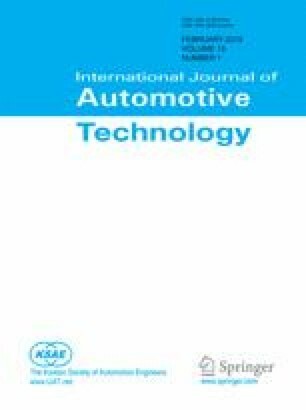 This paper was modified from the original paper presented in FISITA World Automotive Congress 2016, and recommended by the Scientific & Technical Committee for journal publication.